Ukrainian MP Nadezhda Savchenko, who was lauded as a hero for her role in the Donbass military campaign and her prosecution in Russia, is now accused of plotting to blow up the national parliament in Kiev. The General Prosecutor’s Office in Kiev has requested that the parliament, the Verkhovna Rada, strip Savchenko of legal immunity and allow her arrest. MPs in Ukraine normally enjoy protection from prosecution. However, General Prosecutor Yury Lutsenko filed the request on Thursday after Savchenko failed to show up for a scheduled questioning. Lutsenko threatened he would do so earlier this week while Savchenko was on a visit to Europe in her capacity as MP. Savchenko responded by accusing Lutsenko of covering up the involvement in the deadly 2014 Maidan shooting, which escalated mass protest into an armed coup and ultimately brought the current Ukrainian government into power. She added that she gave her testimony on these events to people investigating the mass killings, but that led nowhere. Savchenko later corrected herself, saying that she meant another senior Ukrainian official, Sergey Pashinsky, rather than the parliament speaker. Parubiy was a self-proclaimed “commandant of Maidan” during the mass protests in Ukraine. He was named as a possible ringleader by some critics who allege that the mass killings were initiated by the protestor side. Pashinsky, who was an MP at that time and remains one in the current parliament, was famously caught on camera helping a man with a hunting rifle escape from an angry crowd. Some people believe that Pashinsky was part of a conspiracy to escalate violence in Kiev and rushed to protect the man believing him to be one of the snipers responsible for the bloodbath. The prosecutors want to question Savchenko over alleged links to a man named Vladimir Ruban, who was earlier arrested while trying to smuggle a large cache of weapons from the rebel-controlled part of eastern Ukraine into territory that remains under Kiev’s control. 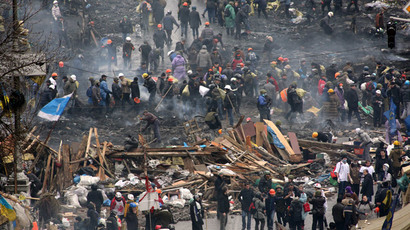 The Ukrainian authorities claim Ruban was planning an armed coup in central Kiev. Responding to the accusation, Savchenko did not deny, but downplayed Lutsentko’s accusations. “Ukrainians, just think about it. Who of you never thought about taking down that government just like they were calling on us to do at all the Maidan protests? Who didn’t think about blowing up [the president’s administration] or [the Parliament]? Are we living in 1937, Stalin’s times, when thinking about such things is a crime? Talking about it in the street? Only a lazy person now does not say such things,” she told journalists. Earlier Savchenko publicly supported Ruban, who has a long record of acting as an intermediary for prisoner swaps between the eastern Ukrainian rebels and forces loyal to Kiev. Savchenko, who was a military service member before rising to prominence in Ukraine, has been a vocal supporter of such exchanges. She has also been advocating a reduction of violence in eastern Ukraine and direct talks between Kiev and the rebels, a measure that the Ukrainian government strongly rejects. Savchenko became a public figure after being arrested in Russia, where she was accused of being an accessory to the murder of two Russian journalists, who were killed by mortar shelling while reporting on the Ukrainian conflict. Russian law enforcement said the shelling deliberately targeted the non-combatants and that Savchenko served as a target spotter for the mortar crew behind the killings. She was tried and sentenced to 22 years in prison for the crime. Savchenko was pardoned by Russian President Vladimir Putin and returned to Ukraine in May 2016. There she proved to be an independent character and did not follow the mainstream narrative about the situation in Ukraine. Within months she alienated the very politicians who had scored political points via her image and became a fierce critic of President Petro Poroshenko over his perceived corruption and lack of support for the Ukrainian Army. Critics branded her a Kremlin plant, claiming she must have been recruited while in detention. 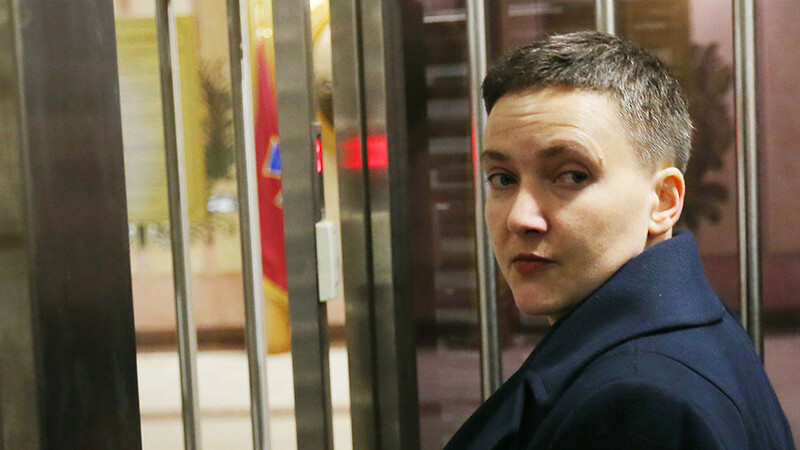 After shadows gathered over her head with the Ruban case, Savchenko was rumored to have fled to Moscow, which proved to be false. Responding to the plot allegations, she said she is cooperating with European authorities investigating allegations of the Ukrainian president’s corruption.